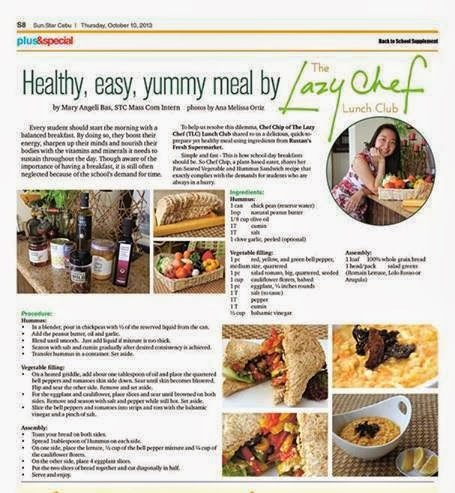 My recent assignment as an intern of a local broadsheet was to figure out a way to contact the person behind The Lazy Chef (TLC) Lunch Club and make him/her prepare a meal using products from Rustan's Fresh Supermarket. You see, TLC is a food business run in Facebook. It has been up for three months only but has already 700 followers! How does TLC go? 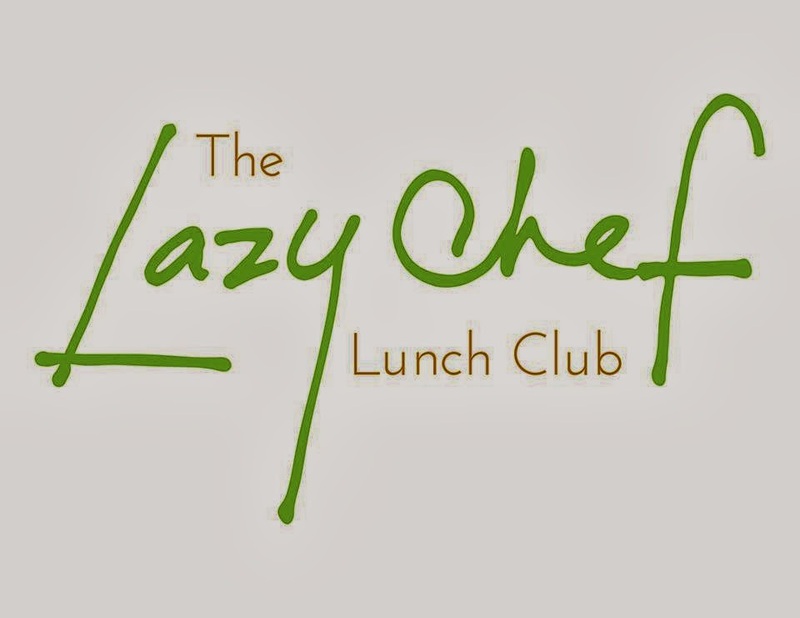 Days before the week ends, the chef of TLC releases a menu for the following week. Those food on the menu is for sale. People who buy there have to acknowldege that they want to order. If you order, you gotta order the entire lunch meals of the week. 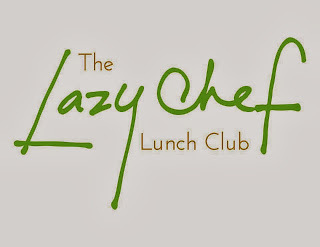 Throughout the weekdays, your meals will delivered before 12:00 noon. What makes TLC a hit is that all of its food is concocted for healthy eating. All its meals never go beyond 350-380 calories. Before I forget, TLC's identity is not revealed. Nobody knows who he/she is. How can you actually reach a person through hundreds of fans and followers in the internet? Hi! I'm having my internship in a local paper and I'm writing about you. Can we meet? Of course I can't send a private message that way. If I were TLC, I wouldn't pay attention to posers/phonies such as a Facebook user who sends me that kind of message. Would you? Moving on, I met Chef Chip at Rustan's Fresh Ayala Center Cebu (ACC). Together with the marketing officer of the supermarket, the PR agency, and my editor, I accompanied chef as she did her groceries.It was fun and I learned a lot of information about the chef herself, of the thing she does, her story and things about the kitchen and Waitrose products. Waitrose products, by the way, are not found in any other supermarket in the Philippines. After some coffee, sandwiches and chitchat, we parted ways and prepared for our appointment the following morning. Chef Chip prepared Pan Seared Vegetable + Hummus Sandwich and Lentil Risotto + Wild Mushrooms +Truffle Oil. The meals were sooo delicious and what's surprising is that they are healthy! After five days, the article was published. To conclude, I personally want to thank Chef Chip for accepting my offer to do the feature article. Also, I want to make a shoutout to Jaja of BigSeed Media who, without second thoughts agreed to my request. Thank you Rustan's Fresh ACC for the warm assistance. Thank you KZ for sharing us your kitchen and dining room and terrace and living room (basically your entire house) for this activity of mine. I couldn't have done the article without you guys. I'm Back in the Scene!